Throughout the school day, students are given the opportunity to practice individually, share their ideas, and work together in small groups. As a result, students are able to practice skills and learn from each other. Generally, I introduce and model a concept whole-class before letting students continue exploring and trying on their own. I believe it is important students are active participants because then they are engaged learners and make connections with the material. When students make their own discoveries and create products, they are more likely to remember the ideas, and they are proud of themselves. 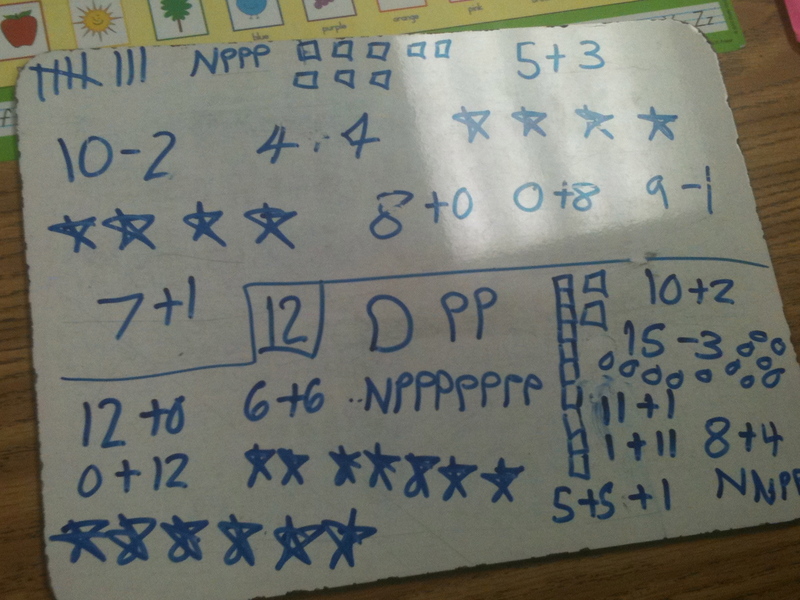 Here are different examples of ways students have been engaged in their learning and demonstrated their understanding. Click on the pictures and links to more clearly see the examples. As a classroom management strategy, I used a clip chart. Students were given a fresh start each day, and they could clip up or down depending on their behavior. I also used a money to help students earn rewards-I paid them if they clipped up and they paid me if they clipped down. Each week, students could cash in for rewards, such as bringing a stuffed animal or sharing something with the class. Additionally, we held class meetings a few times a week to discuss issues or share important events. I also used a compliment jar to help students focus on the positives and build a community; I would read aloud the compliments every Friday during morning meeting. 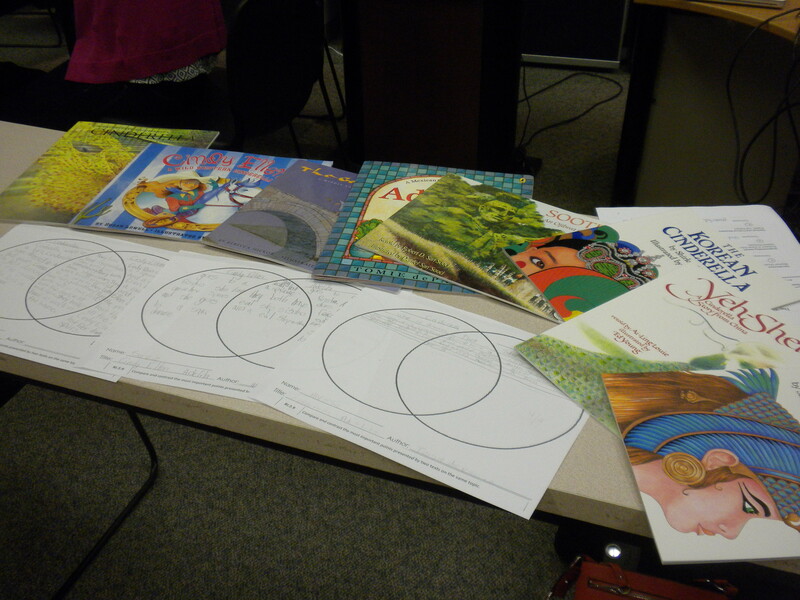 During the Daily 5, students read independently or with a partner each day while I worked with guided reading group. Each student had a book box filled with books at his reading level. While partner reading, students could choral read or take turns while reading. 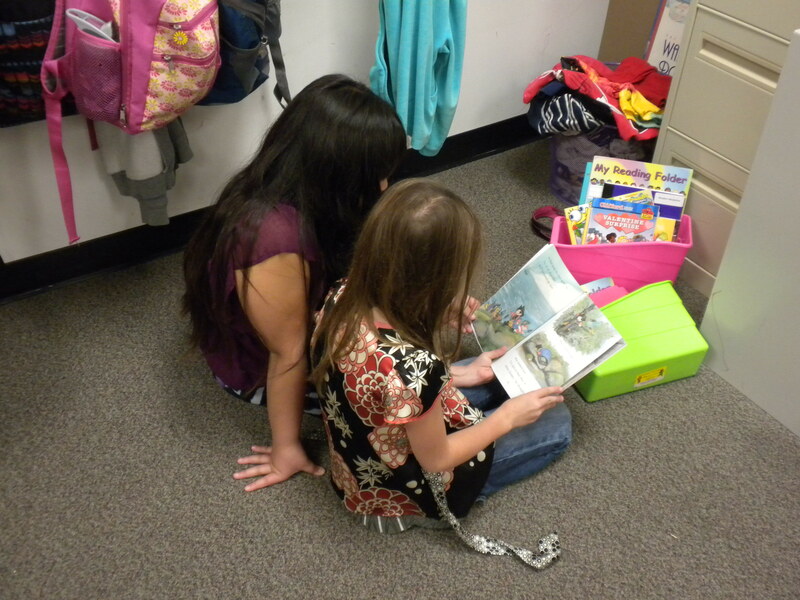 This allowed them to practice reading fluency and hear another student read as well. Another literacy skill we worked on was retelling a story and only including the main ideas. We often practiced identifying the main parts of a story, but it was important students also had the opportunity to practice in small groups and on their own. Here is an example of students completing a story map after finishing the weekly reading selection. Collecting their maps allowed me to assess who understood the concept and who needed additional instruction and practice. One writing unit in second grade was how to write a paragraph. This required me to model and guide students through the process. To organize their ideas, students used a foursquare planning sheet and color-coded the topic sentence, details, and concluding sentence. Here is an example of a foursquare chart I modeled when introducing the concept. 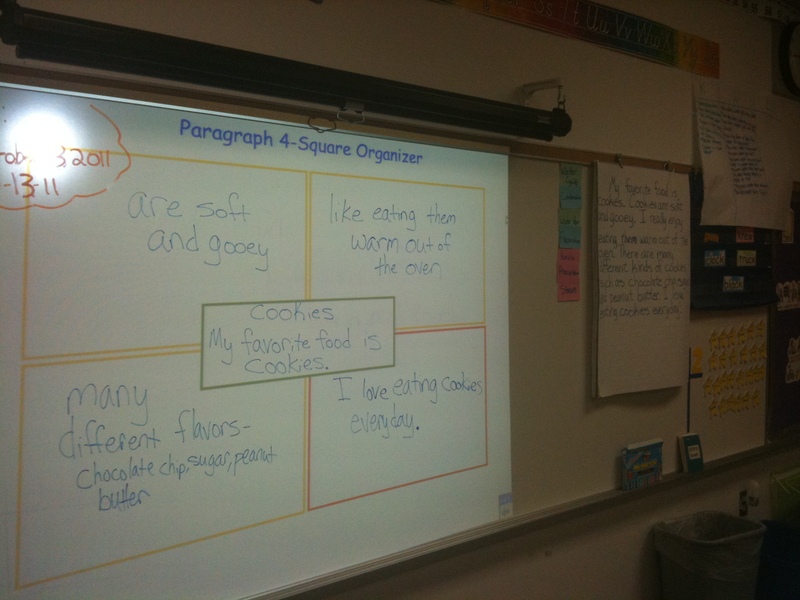 After I modeled this example and students completed their own foursquare planning sheets, students wrote their own paragraphs about their favorite foods. Here is an example of a student’s paragraph. Even though it is basic, it includes the basic components of a paragraph, demonstrating his initial understanding. As the mini unit progressed, students became more independent while writing and started including more details and sentences. This example of a paragraph written after a local field trip shows growth and a deeper understanding of communicating ideas through writing. I also used the 6 Traits Writing Program to teach my students components of writing. 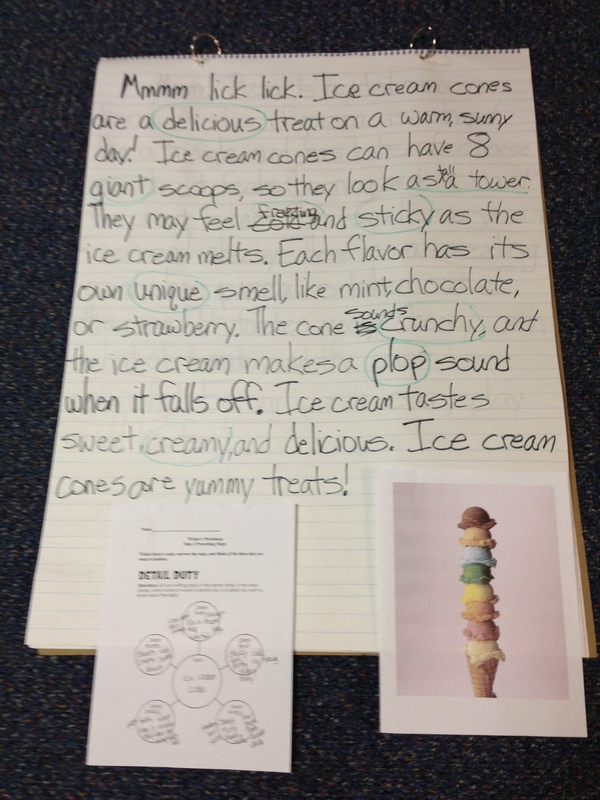 To teach the Word Choice and Ideas traits, my students worked on describing food using the 5 senses. First, I modeled how to brainstorm and turn that into a paragraph. Next, students brainstormed in partners and we created a paragraph together. Finally, students were given the chance to brainstorm with a partner and write their own paragraph. The students were very creative and came up with some great descriptive words. Here are examples of student’s independent paragraphs describing a banana split at different writing levels-high, average, and low. During math, students were encouraged to explain their thinking and come up with more than one way to solve each problem. Manipulatives, such as base-ten blocks, unifix cubes, and shapes, were often used to help students visually show mathematical concepts. Students used small white boards to solve problems using number equations and drawing pictures, and they were a way for me to quickly assess their understanding. Students were also enjoyed showing and explaining their work to the class on the white board in the front of the room. Throughout the week, students were able to complete different center activities and games to practice the current unit, math fact fluency, and review previous concepts. Students love science because they get to experiment and discover concepts on their own. When teaching properties of air, I gave each student a bag with a feather, cotton ball, straw, and piece of paper, and they played with the materials to discover properties such as that it takes up space, exerts pressure, and creates wind. 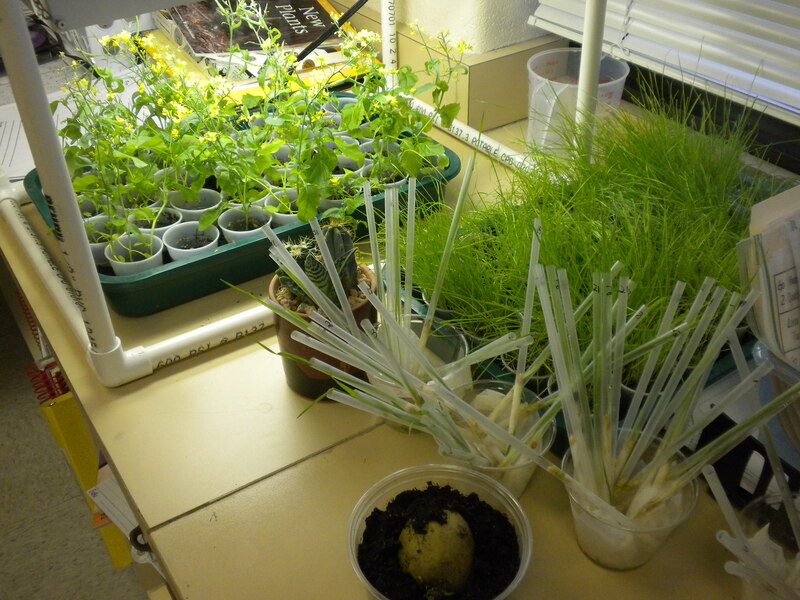 For our unit on plants, we grew different plants such as brassica seeds, grass, wheat, and the eye of a potato. We ended up having a garden in the classroom, and students enjoyed looking at the plants and watching them sprout and grow. After our unit ended, I kept the potato plant on the side ledge because the students loved watching it continue growing and wondering what was going to happen, and I loved watching their excitement! 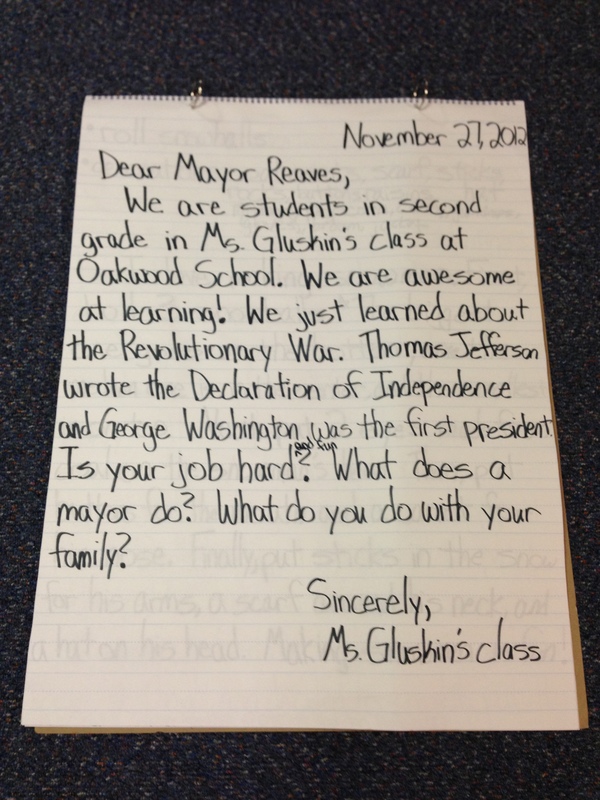 As a connection between the writing and social studies curriculum, students learned how to and practiced writing letters to political figures. First, we wrote a letter as a class to the mayor. Also, each wrote a letter to President Obama telling about himself, what we were learning, and asking a question. Students were very excited when the mayor replied to our class, and I organized an assembly where he came in to explain his job and answer questions for all of second grade. Here are examples of letters students wrote to President Obama-letter 1, letter 2, and letter 3. During social studies, it was important for the students to connect the topics to their lives. When they learned about their community, they created a map of different places within the different aspects of their communities. They also completed another diagram explaining how to be a good citizen in each part of their community. Having this visual helped them realize what it meant to be part of a community as well as think of how to describe the different components. Completing the diagrams was a useful assessment to see if they could demonstrate their knowledge and explain their ideas. 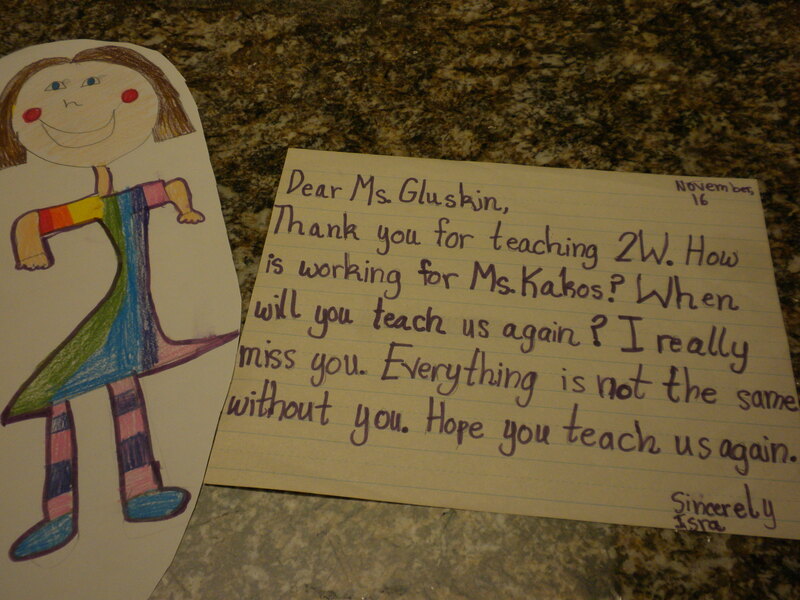 After my substitute position was over, some students decided to write friendly letters to me. 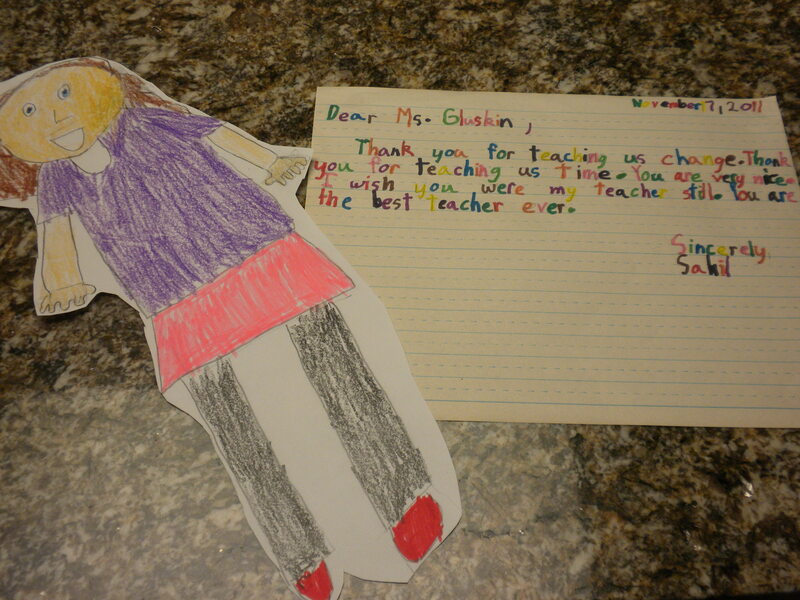 The assignment was around Thanksgiving, so the students wrote why they were thankful for a specific teacher. 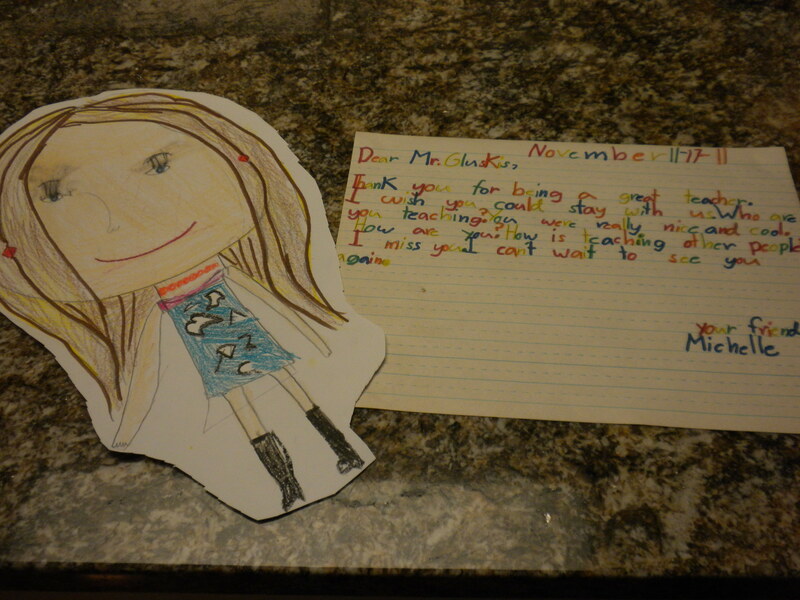 It was really sweet the students chose to write to me, and they wrote very kind thoughts saying why they appreciated me teaching them in second grade. Here are a few examples of their letters.